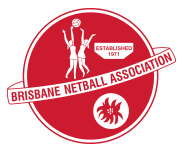 Kedron Lions Netball Club Inc hereby gives notice of its Annual General Meeting for this year. The present committee will be providing a wrap up of the last year and an outline of the vision over the coming year. All members are encouraged to come along. At our AGM, all committee positions are declared vacant. If you would like to nominate a person for a committee position, please complete this form and return to the Secretary. You can do this by scanning the signed nomination form and sending to secretary.klnetball@gmail.com or send to The Secretary, PO Box 233, Chermside South, Qld, 4032.